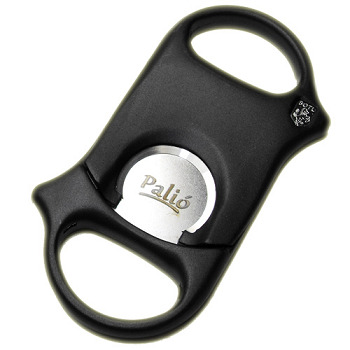 The Palio Cigar Cutter is NOT a standard ABS plastic, but a composite, which took a long time to develop and is proprietary. The material used allows the cutter to work the way it does, providing a shear cut. AND it's self honing, so it will stand up to years and years of use! Out of an undying pursuit of precision and excellence, we've crafted Palio to deliver only the finest cuts for your very best cigars...time and time again. Engineered for today's connoisseur, Palio's superior design and construction make it the premiere choice in cigar preparation. In a test conducted in medical labs by Synergistic Medical Technologies using force-gauge analysis, Palio maintained its sharpness over Brand Z by a dramatic margin. Inspired by and based upon the precision and calibration of today's superior medical devices, Palio has endured the rigors of intense product development. From concept and design to product testing and refinement, Palio has been mechanically engineered to deliver only the most precise cut available in the cigar accessory market today. As fellow cigar aficionados, we appreciate your passion for premium hand rolled cigars. And since you want your cigar experiences to be just right, we thought you should have the right instrument in your hand to ensure just that. Palio...a cut above. Very disappointed with this cutter! I think maybe mine must be a faulty one as so many people swear by it. This cutter pinches the cigar far to much! So far three of my good aged cigars have poorly cut by this - each suffering a tear to the wrapper. There will not be a forth! I've gone back to using my trusty steel two blade cutter I got in Cuba instead, as this performs a perfect crisp cut. 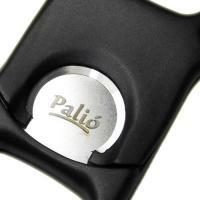 Wish I'd spent the £32 this palio cutter cost me on cigars instead!!!! My Palio arrived last night. The leather pouch is nice but I'm sure I would lose it if I took it out with me :P Made my first cut on a Trinidad Reyes, I have heard good things about these cutters but my jaw dropped when I clipped the cap off. Not a single shred of uneven tobacco, almost clinical. Cleanest cut I've seen on any of my cigars. Lifetime warranty as well. What more could you want?